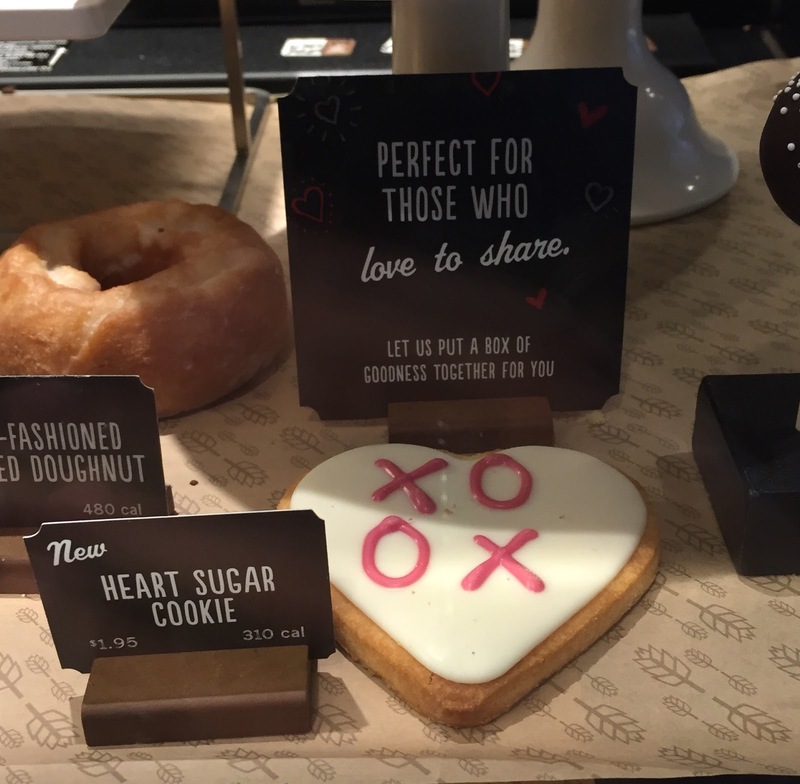 With Molten Chocolate Latte, Molten Hot Chocolate and Molten Chocolate Frappuccino, I also got a Heart Sugar Cookie at Starbucks. 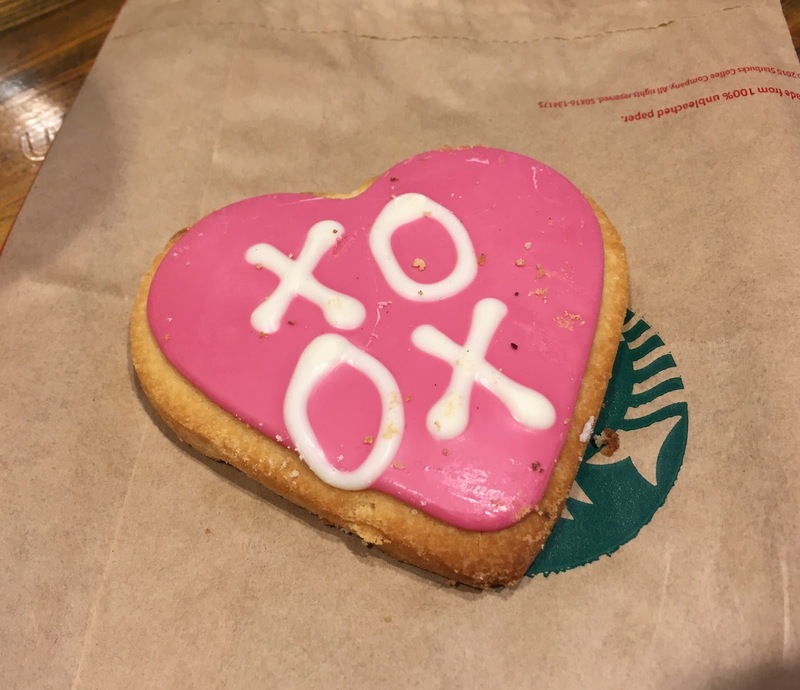 When I took out the cookie from the paper bag, I was surprised to see such a vivid pink cookie as I saw white base with pink letters in the showcase. The cookie was fragile, crispy, and yet a bit soft like a shortbread cookie. It had a light lemon scent in the cookie, and the frosting was chocolate and sweet. I enjoyed the buttery cookie with sweet chocolate decoration.